Sustainable crop production under changing climate is crucial to feed the increasing population of the world. Efforts are underway to discover novel strategies to ensure global food security. Allelopathy is one such phenomenon that can help in this regard. It is a direct or indirect and positive or negative effect of plant species on other plant species and microorganisms, through the release of secondary metabolites known as allelochemicals. Brassica species are well known for their allelopathic potential as most of them endogenously produce potent allelochemicals such as glucosinolates, allyl isothiocyanates, and brassinosteroids. These allelochemicals are highly phytotoxic to target species when released at high concentrations and, therefore, affect their growth and development. 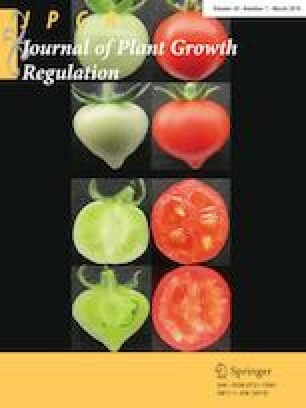 This review illustrates the potential role of Brassica allelopathy for crop production in modern agriculture. Allelopathic potential of Brassica species can be utilized for weed management by using them as cover crops, companion crops, and intercrops, for mulching and residue incorporation, or simply by including them in crop rotations. Similarly, the expression of allelochemicals from these species have great value in the management of crop pests and diseases, and abiotic stresses. Most of these allelochemicals can also act as crop growth promoters when released or applied at low concentrations. Although the use of chemical herbicides, pesticides, and synthetic growth regulators is currently inevitable for crop production, the use of ecological options like allelopathy may help in achieving global food security sustainably. Exploring the potential of Brassica allelopathy could be promising in achieving higher productivity without compromising the environmental safety. All the authors declared no conflict of interest in this article. This work was supported by the National Key Research and Development Program of China (2017YFD0301301) and the National Natural Science Foundation of China (31670264).